Volvo Cars will begin phasing out diesel engines this year, with all new launches offering only electric or progressively more hybridised petrol engines – starting with the S60 saloon. The next S60 saloon will be the first car offered without a diesel engine, despite the V60 estate getting the option. The announcement is due to be made at the Financial Times Future of the Car Summit in London, where the carmaker’s chairman of the executive board, Håkan Samuelsson is the keynote speaker. 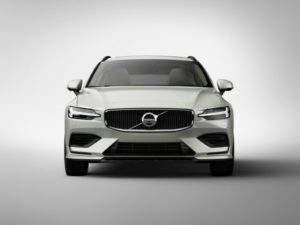 It means the new S60 saloon, which will be built in the United States, will be the first car to launch without a diesel engine – despite the equivalent V60 estate having them. Instead, it will launch with a range of four-cylinder petrol engines, and two plug-in hybrid versions, before getting petrol ‘mild hybrid’ drivetrains next year. From 2019, no new model launches will have diesel engines, with all newcomers instead having at least a ‘mild-hybrid’ partially electrified drivetrain to cut CO2 emissions. Although no future product plans beyond the S60 have been confirmed yet, this would mean the next V40 – Volvo’s best-seller in the UK last year – will not be offered with a diesel engine in its second generation. However, it’s worth noting that diesel engines are likely to be offered for most if not all of the typical seven-year lifespan of recently-launched products, including the V60, XC60 and XC40, despite all of these models either already including or due to get plug-in hybrid versions in the near future. Its first fully electric car will launch in 2019. Volvo is the latest in a growing number of carmakers to announce that it will no longer offer diesel engines as the fuel falls out of favour with consumers. Toyota will have discontinued all of its diesel passenger cars by the end of this year, Suzuki has stopped importing them into the UK, and Nissan recently said it would phase out diesel engines as new models come on stream. In the UK, diesel faces a multitude of challenges, including VED and company car tax rises announced during last year’s Budget, ongoing negative press following the ‘Dieselgate’ emissions scandal of 2015, and improvements to petrol engines which are making them more competitive. As a result, even in fleet, petrol has overtaken diesel as the most popular fuel option so far this year.